The wait is over. Urban Redux has been mistakenly released at Disney’s Hollywood Studios Villains in Vogue store before the official March 22 release date. (part of the promotion or mistake?) 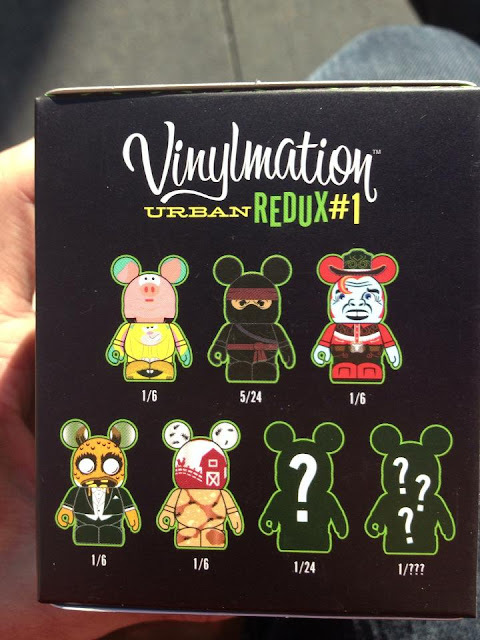 Some photos and info have been posted on the Vinylmation Exchange Facebook page, posted by Andrew M. Pitts. First of all, a case has 8 figures. The biggest reveal however, as shown by the packaging above, each figure has a seeding ratio attached to it. This is very common in the vinyl toy world, but the first time we are seeing this in Vinylmation. The Pig, Cowboy, Alien and Ant Farm are each in 1 out of every 6 blind boxes. The Ninja is seeded 5 in every 24 blind boxes. The single mystery chaser is seeded 1 in every 24 blind boxes. So you are not guaranteed a chaser in a sealed case, only one in every three cases will have a chaser. Urban Redux is $12.95 per blind box. No word yet on the price of the combo topper. No word yet on the chaser(s). Either the single ? or the triple ???. We discussed the idea of ratios in Vinylmation in an earlier episode of the Destination Vinylmation podcast. 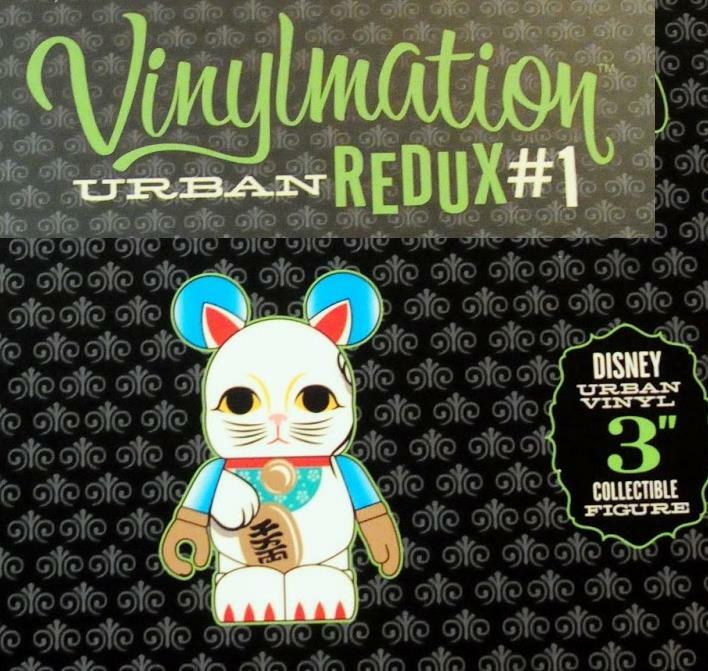 I think it is a great idea to shake things up in the Vinylmation world. However, although I think it is fun to see this method applied to an urban themed set, I don’t think I would be willing to see this applied to a park themed set that I would be interested in making sure I want the whole set. Collecting 4 Dapper Dans is one thing… trying to find various ratio figures through the set is another. I would not mind seeing this in a generic, fun Disney character set that is in the vain of that Funko Mini Mystery set that just released. 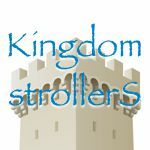 I’m sure we will be back to update this post as news comes out today. Sweet! Are there photos anywhere?